USA Taekwondo has nine Olympic medals to their name, making them one of the most decorated nations in Taekwondo. 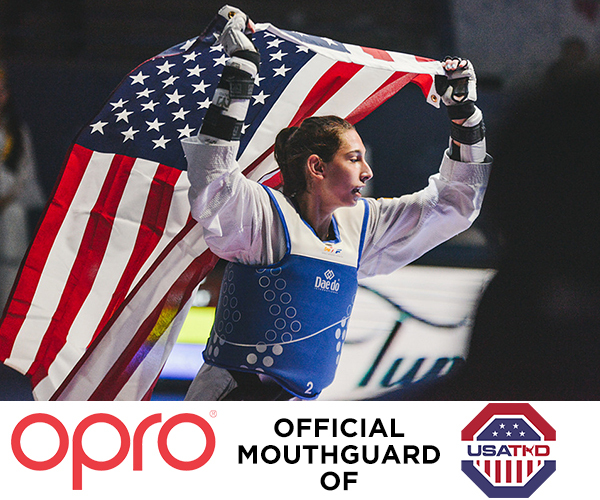 As the official mouthguard partner, OPRO will help USA Taekwondo promote participation and development in the sport in the USA and ensure that it’s clubs and members have access to the very best protection for their teeth. As part of the partnership OPRO will supply mouthguards to the USA National Senior, Junior and Cadet Teams. OPRO Chief Executive Officer David Allen said. “OPRO is a major supporter of many combat organisations right across the globe and we are truly excited to partner with USA Taekwondo both at national and grassroot levels of the sport.